There is something that is truly sublime about paddling a traditional style kayak, in which the paddler sits inside of a cockpit (typically enclosed by a spray skirt to prevent water from entering) and practically “wears” the craft, attuned to every nuance of movement and the thrumming of water passing mere inches beneath one’s backside. Not to denigrate the sit-on-top designs, which have made kayaking more accessible and user-friendly to the masses, but the experience is simply not the same. And for those who have known the challenges and simple joy and freedom of paddling, whether at sea, running whitewater, or even navigating placid lakes and inlets, there are lessons, both overt and more subtle, to be applied to one’s life. Kayaks, by design, are not particularly stable craft. Like a canoe, they can tip and roll very easily if the paddler misses a stroke, or fails to paddle brace, or is hit by unexpected wave action and does not react in time. This lack of inherent stability, however, allows kayaks to be highly responsive to the paddler’s input, and can allow course corrections and adjustments with reasonable efficiency. In order to remain upright, particularly when running a fast-moving river or operating in a surf zone or in heavy wave action in the open sea, the paddler must maintain balance and this requires focus. It is easy in our modern world to lose focus; with so many obligations as well as distractions competing for our attention, following a path can be difficult. More so if that path is not clearly marked or is filled with obstacles which challenge easy passage. Without balance, we lose our center, and without command of our center, we are prone to loss of control. We cannot control everything that happens, but if we maintain balance, we can quickly recover and avoid the worst outcomes. The more time that one spends immersed in nature, the more one understands that everything has a natural rhythm. Things are as they are, and all things interact with each other in fairly predictable ways if you understand the dynamics of the relationship and the context of the environment. There are predators and prey. There are symbiotic and parasitic relationships. For sailors, no wind can be a curse, but too much wind can be a nightmare. Water is the essence of life, yet it can sculpt landscapes and kill with no compunction if present in sufficient volume, force or even based on its temperature. 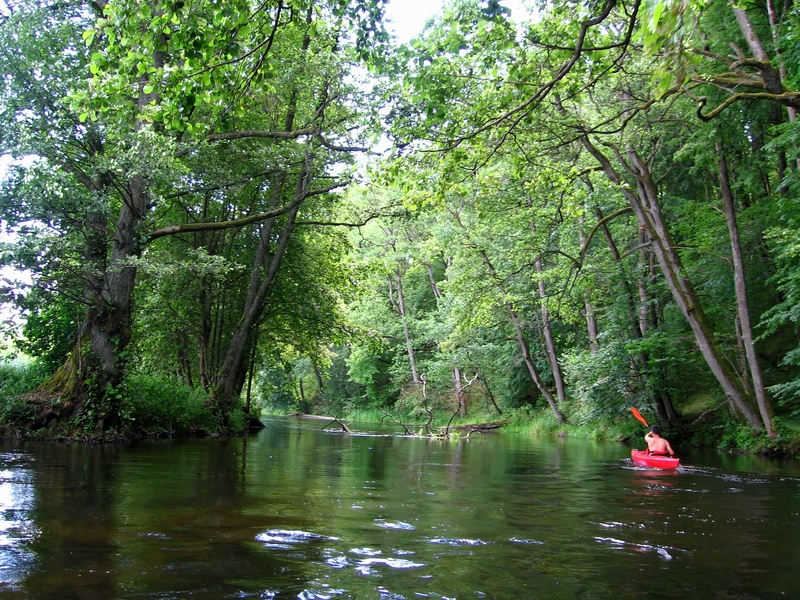 Piloting a kayak forces the paddler to fall into a rhythm, and this rhythm will naturally mirror the given environment. The double bladed paddle requires some degree of ambidexterity, alternating strokes on either side of the boat or requiring the paddler to perform a brace by placing the flat of the blade on the water’s surface and leaning into it (which may feel counter-intuitive at first) to avoid rolling over. The nature of the kayak is to become unified with the particular rhythm of the water upon which one is traveling. Both whitewater kayaking and sea kayaking require knowledge of water’s behavior, and an appreciation and respect for what nature can unleash with little or no warning. Whitewater, while exhilarating and majestic, can also be terrifying and deadly, as the power of a tremendous volume of water, coupled with obstructions which can snag, pin and trap the boat and paddler in deadly circumstances, is not to be trifled with. Paddlers running rapids must quickly learn how to gauge safer routes of passage, and must respond to the feedback of the river instantaneously if not to be overturned. At sea, even close to shore, the paddler can experience both wave action and currents which may thwart forward progress, force the paddler severely off course, or threaten the stability of the boat. Being able to track on a particular course requires skill and constant effort, and understanding when and how to expend energy efficiently. Navigation is essential to a successful journey. Even if the destination changes en route. Arguably, what many people find most intimidating about traditional style kayaks is the experience of being confined in a fairly tight cockpit, which can present challenges should the boat overturn. The traditional response to overturning in such a craft is to perform an “Eskimo roll” in which one snaps the hips and twists the body, using the paddle for leverage, in order to return to the water’s surface from a fully submerged position. This maneuver can be tricky and requires patience and practice to learn. Sometimes it is simply easier, or perhaps more expedient, to “eject” from the kayak by pulling the spray skirt and swimming free, although there is danger in being separated from the boat for an extended period of time. And it is not necessarily an easy matter to climb back into a kayak once one has “gone for a swim,” particularly if kayaking solo. For this reason, having at least one other party that can be relied upon is always preferable to “going it alone.” There are times when this is not possible, but companionship on a journey can make all the difference. Life invariably throws surprises at us. Our ability to “self rescue” and adapt to changing circumstances, or to come to the assistance of another, is vital to our ability to persevere. 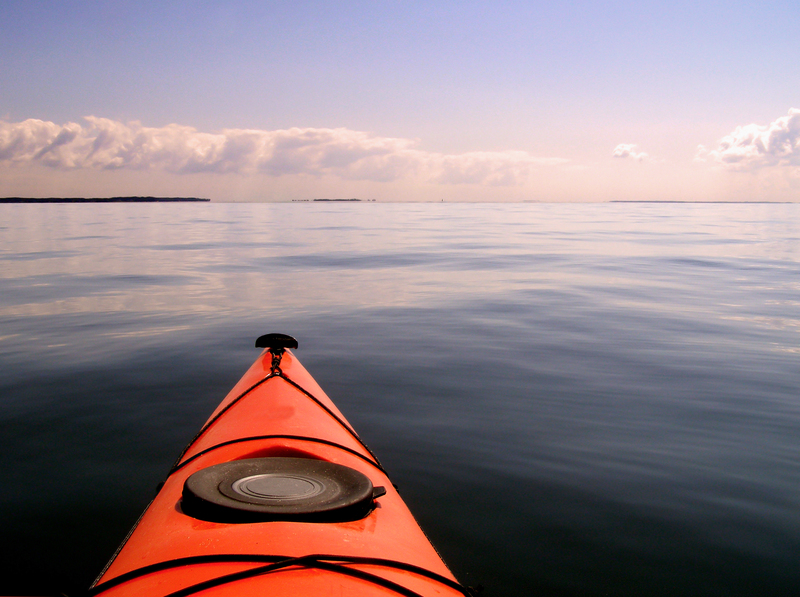 Unlike most other watercraft, kayaks sit low in the water, with very little separating the paddler from the water itself. In some manner, this forges a “connection” with the very medium in which one travels which is arguably unrivaled, and incredibly intimate. It is an easy thing to stretch out one’s fingers and touch the surface of the water, or to plunge one’s hand or arm into the depths as one contemplates the hidden mysteries below. In life, much is hidden and perhaps even unknowable to us. We must operate with the faith that our efforts are not in vain, and our expenditure of time and energy is bringing us closer to a destination that will resonate with the very core of our being. That which is unseen does not by definition, not exist. It is merely our perception, or lack thereof, that informs our observations and beliefs. Very nice, Jonathan. Never tried kayaking, but would love to—especially after reading your metaphor. I appreciate the sentiment, Eugenia! Kayaking is one of those activities which in my opinion, really does allow one to “flow” in the experience, whether one is out for a mellow paddle or in more challenging circumstances. I grew up near big water (very close to the Atlantic) and consequently, learned to appreciate the sea and its varying moods. I’ve also enjoyed some whitewater experience, which is its own adventure!